Craigslist made it onto the Yahoo! buzz log, and rightfully so. I am not sure how any of us got by before craigslist. If you are not familiar with the craigslist phenomenon, I recommend you head over there right now and introduce yourself. My personal favorites are the bartering section and of course, the Best Of Craigslist. 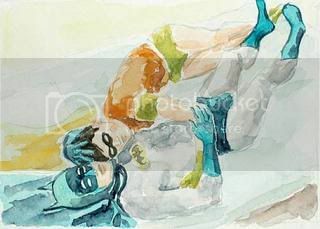 Apparently D.C. Comics is not terribly happy about Mark Chamberlain’s “Gay Batman” watercolor series currently on display at Kathleen Cullen Fine Art. I don’t understand what all the fuss is about, it is just someone else’s perception of the dynamic duo (and by someone else’s I mean EVERYONE else’s. Really, who hasn’t had the thought cross their mind? Especially in the Adam West days). One of Stay Free Magazine’s readers, Larry, was particularly distraught. Wow Larry I really appreciate your articulate argument. So you can’t stand “gay people”? You don’t say! I would have never guessed. I suppose having a childhood hero’s sexuality challenged is just a little too much for you to handle especially because, as everyone knows, if you like something “gay” then you may as well consider yourself a card carrying member of the homosexual community. I personally think the gay Batman series is a great idea and somewhat amusing. 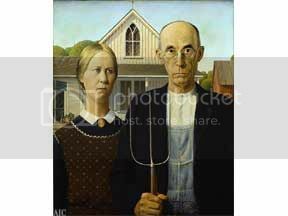 I hope that Chamberlain, Cullen and D.C. Comics can come to an agreeable solution that does not include D.C. confiscating all the remaining paintings as well as the cash for the items already sold. Why does Comcast hate Chicago? Why does the Washington Post hate America? A recent study shows that “If you want to win the object of your affection, an extravagant gift that has no resale value is the way to go”. That is to say that gifts of shared experiences or gifts that required thought and preparation are more valuable to most people than gifts that are simply expensive. I like that they specify that men can “avoid gold-diggers” this way because lord knows there are NEVER instances where a man is using a woman for her money. Ultimately I agree and find the gifts that are dearest to me were the simple ones that were full of thought or personal meaning. This really comes in handy because I have been doing a decent amount of bike riding lately and am never quite sure how much mileage I have put in. Although, I did find that a ride I was particularly proud of was about half the number of miles I thought it was (I blame mapquest). Oh well, better luck next time. as well as lesser known Embrace) has always promoted anti-establishment ideals. 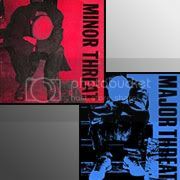 Even though both Minor Threat and Fugazi gained enormous underground popularity, the bands always refused to sign on with big labels. I remember when Fugazi was still touring, their shows never cost more than $5 and their albums were always priced considerably lower than even their Indie counterparts. Needles to say, MacKay is pretty pissed off, and rightfully so. I hope that they sue the hell out of Nike and get a chunk of cash. Speaking of, Tom Waits has had a few issues that I might compare to this. He has been approached on a number of occasions to use his distinct and highly recognizable voice for advertising, which he has always refused. Waits says, “Commercials are an unnatural use of my work. It’s like having a cow’s udder sewn to the side of my face. Painful and humiliating.” Waits has gone to court on more than one occasion to defend his stance on the issue. Hopefully MacKaye and his record company Dischord will have as much luck. This sounds like a bunch of bullsh*t if you ask me, considering there is probably a plus or minus 3% margin of error, but I found it interesting all the same. Married men earn more if wives do the chores? I mean really, do I want to do all the household chores just to increase my future husband’s salary by 3%? That does not sound like that great of a deal to me. But that wage premium disappears if wives go out to work themselves or don’t do most of the housework. But wouldn’t our household income increase considerably more than 3% of his salary if I were out working for a living too? I don’t get it… sounds like some plan to encourage women to get back in the kitchen, where they belong! I get a kick out of that list every time.